Wonderful! These beads are fun and sassy. 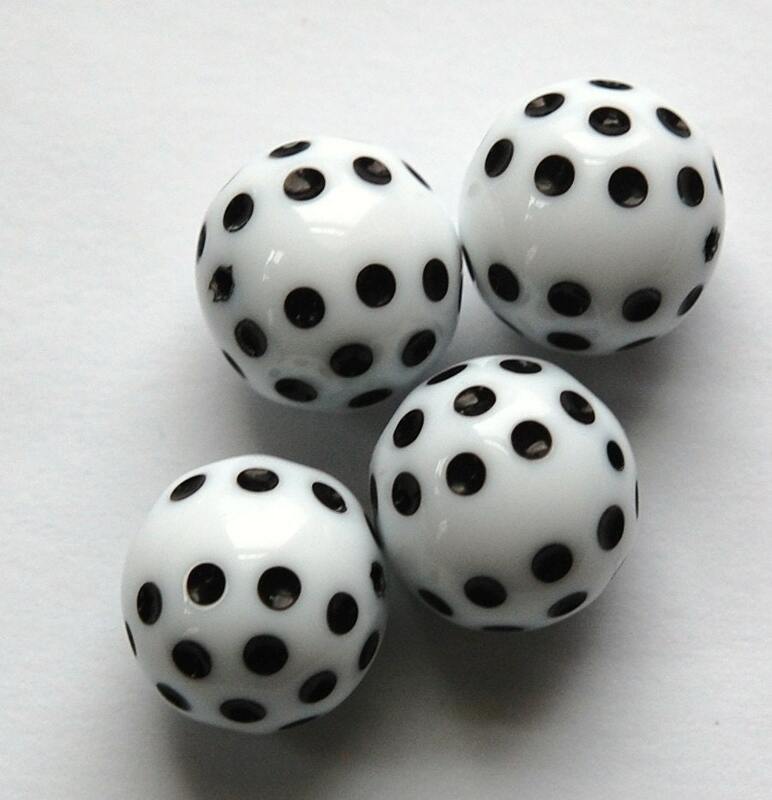 They are a vintage white lucite/plastic bead with black polka dots. 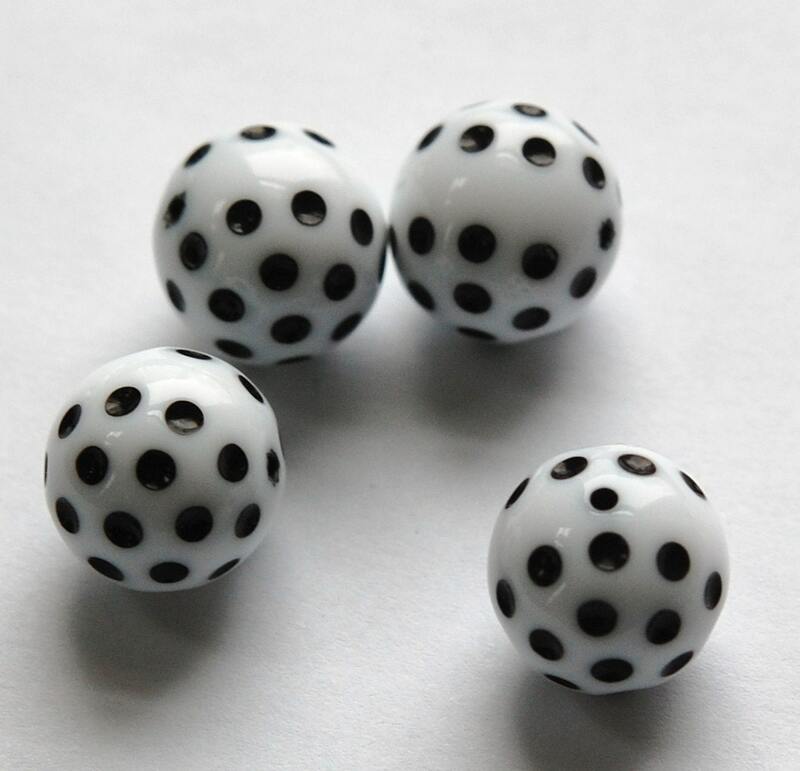 They measure 14mm and you will receive 4 beads.